RAVENOL USVO® Eco Synth ECS 0W-20 is a state-of-the art PAO (Polyalphaolefin) based fully synthetic, smooth-running low-friction motor oil with RAVENOL's patented USVO® and CleanSynto® technologies and is recommended for modern passenger car petrol and diesel engines, including supercharged models, and for direct injection engines and hybrid vehicles under all operating conditions. The USVO® technology gives the oil an extremely high viscosity stability. We avoid the disadvantages of polymeric viscosity improvers while taking advantage of them. This improves engine protection, performance, engine cleanliness and oil drain intervals. The USVO® base oil has no shear losses during the entire change interval and is extremely stable to oxidation. This unique technology helps oil to be lubricated faster, thereby minimizing friction while keeping the engine clean and efficient. 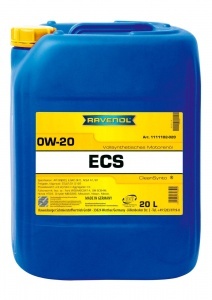 Using RAVENOL ESC 0W-20 will dramatically reduce your fuel consumption, and is suitable for extended oil changes in accordance with manufacturer's instructions. The unique formulation minimises the likelihood of Low-Speed Pre-Ignition (LSPI) of the fuel. It is also recommended for turbocharged petrol engines with direct fuel injection (Turbo-GDI) and for diesel engines with diesel particle filters (such as the OM 608 and OM 654 ranges) where it helps reduce nitrous oxide (NO) emissions. 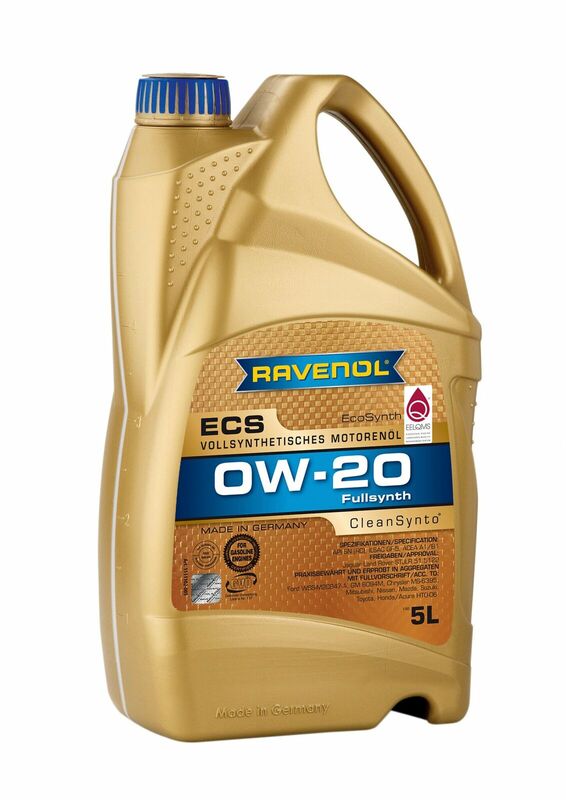 The excellent cold start performance ensures optimum lubrication during start-up, and as RAVENOL ECS 0W-20 offers a significant fuel saving potential, the consequent reduction in emissions contributes to the protection of the environment. HTHS min. 2,6 mPa*s. The unique formulation ensures a stable viscosity even with extended oil change intervals which helps to prevent fuel dilution. High fuel economy (FE) effect due to the base oils and additives used. Low volatilisation tendency, thereby lower oil consumption. Good aging behavior, confirmed by the Hot Tube Test.